Ingredients: Black tea (pu'erh), ya bao, natural chocolate flavoring. 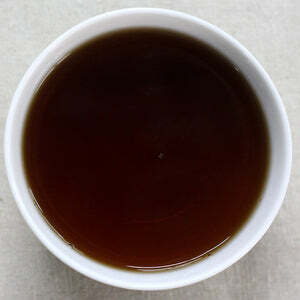 This is a beautiful, exotic blend of pu'erh and ya bao with a touch of unsweetened chocolate. The earthiness of the pu'erh and the sweetness of the ya bao buds combine beautifully to create this lightly sweet - earthy - chocolatey sip. The ya bao buds lend a certain marshmallow-like note, almost creamy. Ya Bao buds are late winter buds harvested from very established tea trees. Tea farmers harvest them carefully, so to respect the natural growth of the tea buds on the trees. 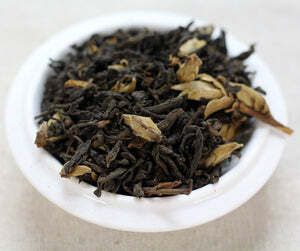 This pu'erh is a traditionally fermented (shou) black tea, requiring a multi-step process. Killing green, rolling, sun drying, piling, drying. This tea isn't pressed into a shape (cake or brick), but allowed to dry in loose form. PERSONALITY: Naive, but somehow still very wise. Resteep:1 time for 4 min. Rich & mellow, loving it on a cold Sunday morning! My favorite pu’erh tea so far. This was a wonderful tea for after dinner. I added cream. The rose notes are very subtle and not perfumey or bitter. The chocolate did not taste artificial or cloying. I have discovered that I love pu'erh tea. I hadn't been aware of this kind of tea before and every tea that I have received with it in it has been great. Nice and rich. 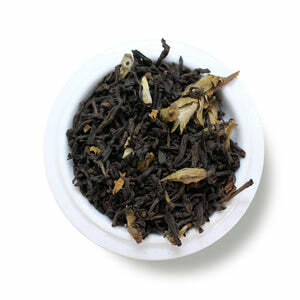 The taste of this tea has a very mild chocolate flavor, creamy and subtle. I love black teas, and this tea is no exception. It's a great tea for curling up with a book and relaxing. I will be purchasing this in a larger amount.